We met in our groups and one S6 pupil joined each group. Our group got together to talk about 25th January and the 27th January. Burns Day was the 25th and the 27th was International Holocaust Remembrance Day. Each group was given a rule about the Jews for example Jews were forbidden to visit Christian peoples’ homes. Each group needed a piece of paper a pink piece of paper and some pencils. We needed to draw the rule without using words on the plain piece of paper and then we had some sweets and chocolate and a drink. After that we numbered ourselves and number one took their rule and took it to the table behind them and then we shared it with everyone else. Then we sang a song called All Jock Tamson’s Bairns after that it was time to go back to school and we said goodbye and thank you. Here’s a newsletter from P4 letting you know what they have been doing in class recently. Welcome back everyone, we hope you had a lovely break and feel ready to start the new term. We have just started our new topic and will be learning all about Scotland’s natural larder. 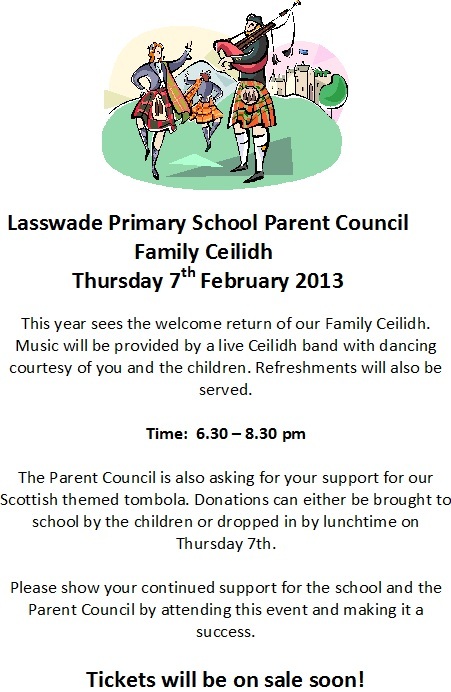 We will also be looking at Scottish traditions and learning some poems and a song for our showcase. The children all have a copy of the poems and song and we would appreciate if you could help them practise these at home. 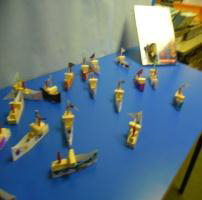 In reading the children are all working hard and many have started a new stage. It is really important to keep practising key words and to revise previous stage words. Next week we will begin the Midlothian Reading Challenge and the children will all get a card home to record books that they have read. 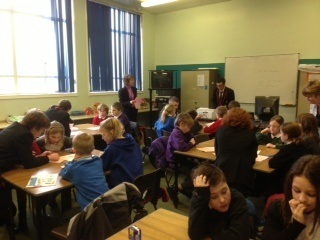 If the children complete the challenge they will be awarded with a certificate. We will also be using Glow wiki to record the children’s comments about books they’ve read. Spelling has also started again and your child will be coming home with their new spelling words. Each week a different spelling pattern or rule is looked at and it is important for the children to practise these to help with their independent writing. For numeracy we are learning about halves and quarters and the children are enjoying splitting shapes into ½ and ¼ as well as sharing objects into groups. For maths we are learning about time. We have learned the seasons, days of the week and months of the year. We are also learning to tell ‘o’ clock and half past times on analogue and digital clocks. Any extra practise the children can do at home would be much appreciated. We look forward to seeing you at the school showcase event. The weather hit Parent Council meeting will now take place on Thursday 24th January at 7pm in the staff room. All welcome. Please take time to read the attached letter about the symptoms of seasonal influenza and meningococcal disease and what to look out for. Please see the attached schedule of events for Love Your Library Day on Saturday 2nd February. Please see the attached flyer/application form for Taekwondo which starts after school on Friday 1st February for P1-3. Happy New Year to everyone we hope you all enjoyed the holiday. Here is our first newsletter of 2013.